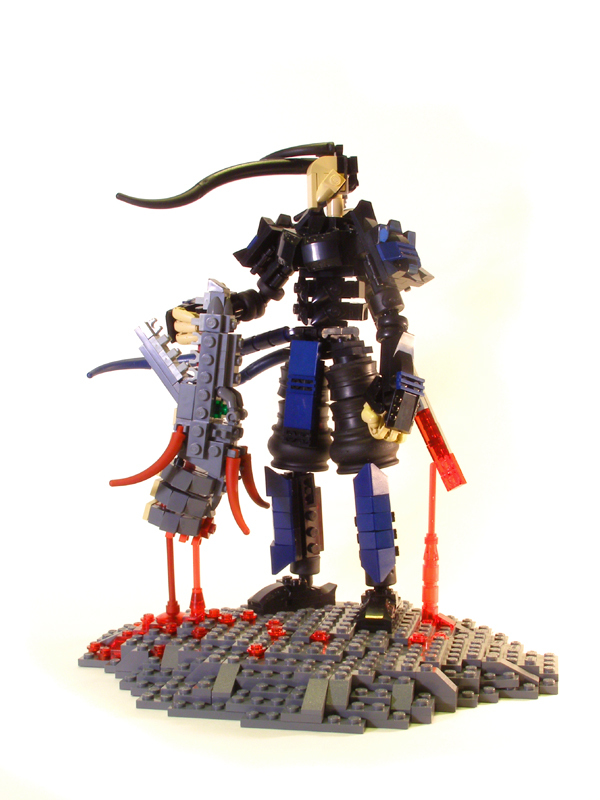 Tyler’s (Legohaulic) fantasy samurai stands gracefully poised while clutching the head of a slayed monster. Inspired by this artwork, Tyler captures the victorious pose and the dazzling fantasy elements and depicts them all in this sculpture. Wow–has the dripping blood thing been done before? Amazing! Let’s all bow down to Legohaulic! I thought those mechas were amazing, but this just brought the mad LEGO skillz to another level. Whatever other spectacular LEGO creations TBB is going to blog about for the remainder of June, this work is already, without a doubt, my favourite of the month.